AMMONNEWS - Israeli Prime Minister Benjamin Netanyahu pledged Saturday to annex settlements in the occupied West Bank if he wins the upcoming general election. His comments come just days before the closely-fought April 9 poll and could be seen as an appeal to rightwing voters, who do not believe in the feasibility of a peace agreement with the Palestinians. 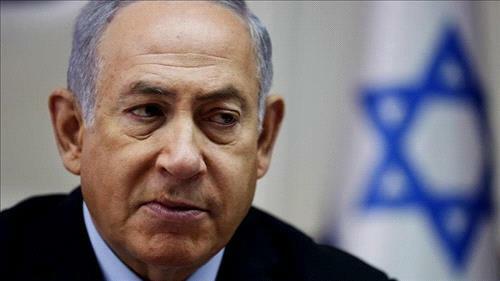 “I will apply (Israeli) sovereignty, but I don’t distinguish between settlement blocs and isolated settlements,” he said in an interview to Channel 12 television. “I said there shouldn’t be the removal of even one settlement” from the occupied West Bank, Netanyahu told Israel’s Channel 13 television. More than 400,000 Israelis live in West Bank settlements as part of its military occupation of the territory, where more than 2.5 million Palestinians live. Netanyahu said he informed Trump not “even one person” would be evicted from a settlement. The US president on Saturday was cautious about the outcome of the Israeli election on Tuesday, which he called a close race between “two good people”. “How is the race going by the way? How is it, who’s going to win the race? Tell me, I don’t know,” Trump asked the Republican Jewish Coalition in Las Vegas. “Well, it’s going to be close -- I think it’s going to be close. Two good people,” he said, referring to incumbent Benjamin Netanyahu and rival Benny Gantz. While Netanyahu has a close relationship with the US president, Palestinian President Mahmoud Abbas cut off relations with Washington after Trump declared the disputed city of Jerusalem Israel’s capital in December 2017.